Giving Back to Our Community and Our Own - Wetherington Hamilton, P.A. One of my personal core values has always been to give back to the community in whatever way I can. I am proud to say that the law firm of Wetherington Hamilton, P.A. has the same core value. Whether it be volunteering time for Meals on Wheels, volunteering at The Children’s Home, raising funds for The Children’s Home at our Cocktails for a Cause event, or raising funds for the American Cancer Society’s fight against breast cancer, Wetherington Hamilton definitely gives back! Last summer I was diagnosed with stage 2, triple negative breast cancer. This is an aggressive form of breast cancer that requires major chemotherapy, surgery, and in my case, radiation as well. I could not have asked for more support from my employer and co-workers at Wetherington Hamilton. 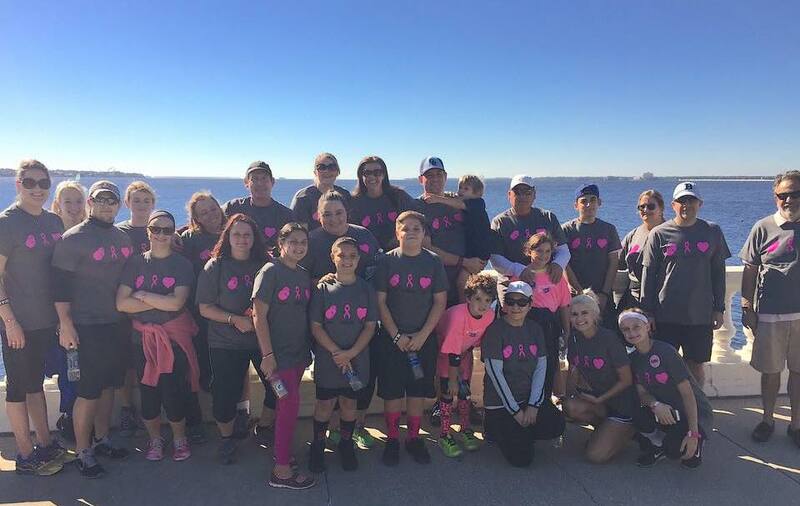 As a result of my diagnosis, our Estate Planning Attorney Elaine McGinnis, spearheaded our firm participation in the American Cancer Society’s Making Strides Against Breast Cancer walk in Tampa last October. 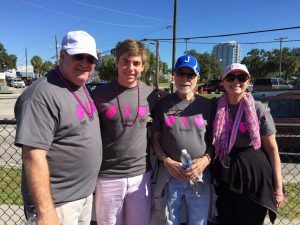 Our firm team had over 60 members who walked that day, including my 88 year old father, who participated in his first 5K! 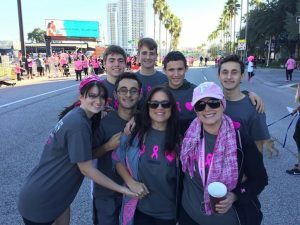 More importantly, our team raised over $2,500.00 towards the fight against breast cancer. This has become quite personal to me, as you might imagine. I am happy to report that my pathology report reflected pathologic complete remission, meaning that the cancer is totally gone! I am about to begin radiation and could not be more pleased to have returned to work full-time! 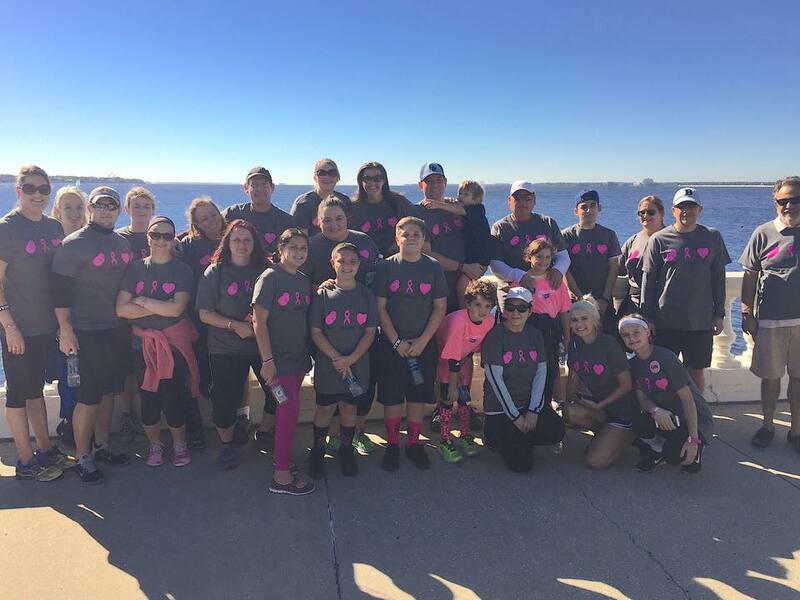 I want to thank all of those in our community who participated in and contributed to the Making Strides Against Breast Cancer walk. I also want to thank everyone at Wetherington Hamilton for your continued support, not only of me, but your support for each and every community organization that our firm supports. Wetherington Hamilton, P.A. walks the walk and truly does give back! Previous PostCommunity Association Law: Can You Turn Down an Applicant for Sale or Lease? Next PostHow Long May a Creditor Assert a Claim After Someone Dies?